Panning upwards view of the Palatki Indian Ruins under and alcove in Arizona. 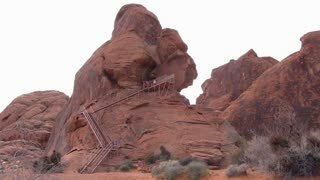 Serie of Clips - Prehistoric engravings on stone plates in the Sahara Desert near Smara in Morocco. 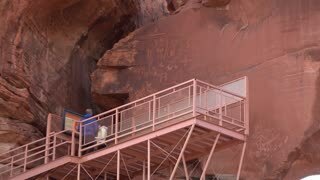 Panning view of the Palatki Indian Ruins under and alcove in Arizona. 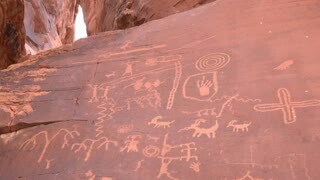 Paintings of hunter and victim on the rock. Altay, Russia. Bison graffiti looks like Altamira cave painting. 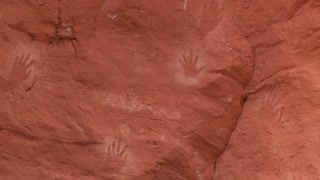 American Indian handprints on a wall.